I am very excited to announce my first Elite Camp as the head coach at Pratt. On Monday, October 9, 2017 (Columbus Day), I will be partnering with Wesleyan University head coach Joe Reilly and their men’s basketball program to present the Brooklyn Invasion Elite Camp! The camp will be hosted in the gym at Pratt in Brooklyn, NY. Registration will be begin at 8 AM. Camp will run from 9 AM to Noon. Brooklyn Invasion Elite Camp is for aspiring men’s basketball student-athletes in the high school classes of 2018, 2019 and 2020 that would like to play in front of and be coached by the staffs at Pratt and Wesleyan. This is an opportunity to play and workout in a competitive environment against student athletes from around the country who are interested in playing high level college basketball. There will be individual and group work emphasizing skill development, along with full court games. In order to make the camp as accessible as possible, the registration fee will be only $42 if you register online before October 2. After that, registration will be cash-only on the day of the event. We will be limiting camp to a maximum of 40 campers in order to ensure the most possible attention and precision in coaching during our time. We do expect to sell out, so register ASAP to guarantee your spot. Please do not hesitate to contact Pratt head coach Max Sass with any questions. He can be reached at msass@pratt.edu or 718-687-5650. 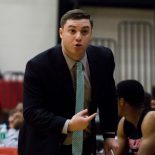 This entry was posted on August 22, 2017 by Coach Sass in Coaching, College Basketball, Pratt/Wesleyan/Bard.